Prepare this recipe by mixing the garlic, pepper, salt, cumin, and red pepper flakes. Toss the shrimp in the spice mixture, cover, and refrigerate 30 minutes. Chop cucumber into 1/2-inch pieces. 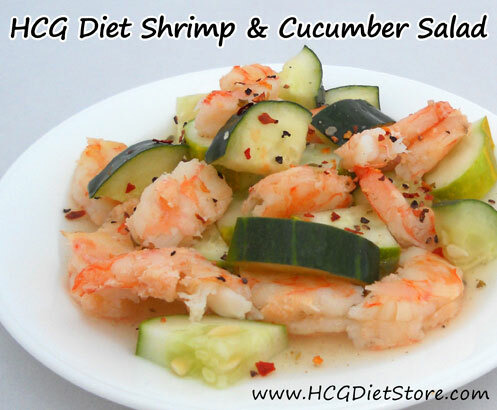 Add the cucumbers to shrimp mixture. Top with lemon juice, and serve.